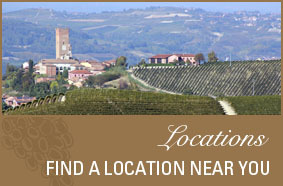 TagAVine, the perks of winery ownership without the hassles! TagAVine has been our vision for many years. It’s with excitement that my family invites you to join us to experience our Italian heritage. TagAVine is not just another bottle of wine in the mail. When you become a TagAVine member, you get the perks of winery ownership without the hassles. You choose the vines and the corresponding wine from our Vineyards. 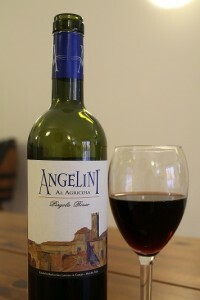 Angelini Estate wines are comprised of 3 varietals; Sangiovese, Merlot, and the very unique Pergola Rosso. Five different, limited production wines are created from these varietals including Sangiovese Riserva and Pergola Rosso. The wines will be released once a year, at which time a retailer will contact you to purchase your wine at a discount and take delivery. In addition to your wine, a beautifully designed official certificate will be issued on authentic Italian paper “Carta di Fabbriano” detailing your Vineyard, row and vine number(s). An official tag will be placed on your vine in Italy and a photo will be taken and emailed to you for your records. 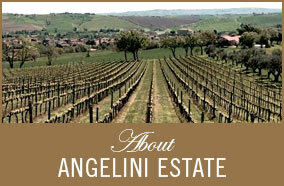 You will get periodic pictures and information detailing the evolution of the vines and the wines. 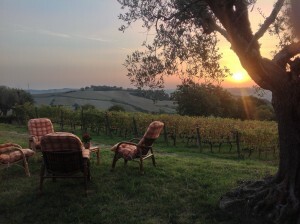 Benefits also include exclusive members only tastings, special pricing on the rental of the Angelini vineyard Farmhouse in San Lorenzo in Campo and much, much more! Imagine sharing your wines with friends and family here in the United States. Or…..visiting your vines at the Angelini estate in Italy, participating in the harvest and winemaking, enjoying a traditional dinner in the vineyard and discovering the true meaning of “La Dolce Vita”! 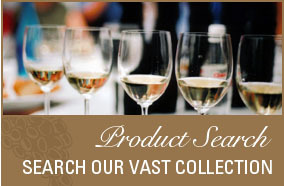 Begin your new wine experience at www.tagavine.com today!